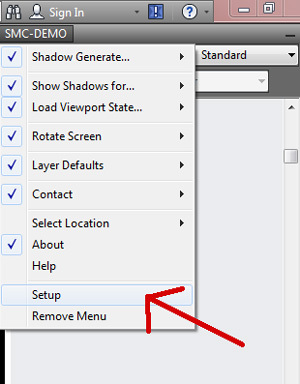 A new pop window will appear. 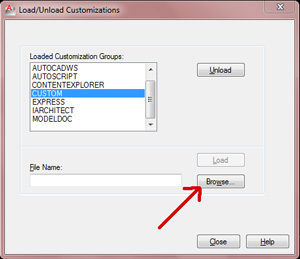 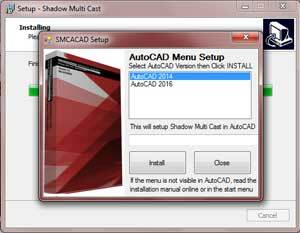 Left click on the version of AutoCAD you are installing Shadow Multi Cast on, then click install. 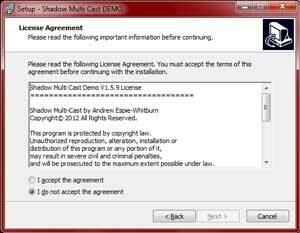 Repeat this process for all installations you want to install on. 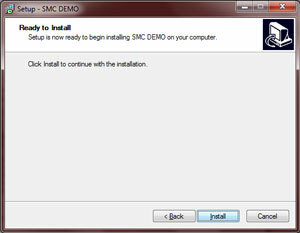 The post installation menu screen appears. 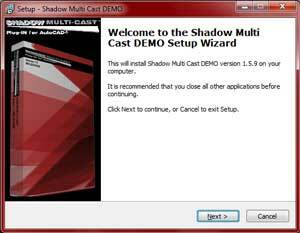 Goto the directory where Shadow Multi Cast is installed then select the .mnu or .cui file that is displayed. 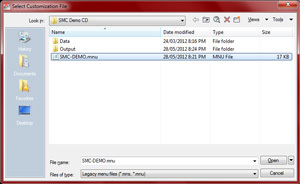 Clcik on Open. 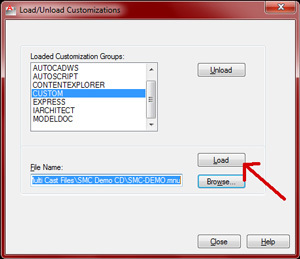 Now click load to load the menu file. 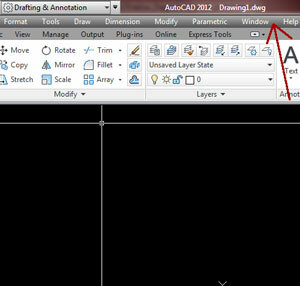 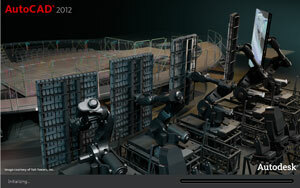 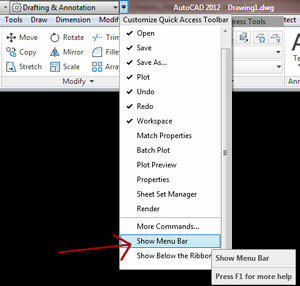 The Shadow Multi Cast menu will now appear on the menu bar in AutoCAD. Goto the Shadow Multi Cast menu, left click, go down to Setup and left click.